National Electoral Commission (INEC) to muddle facts and play sophistry over incontrovertible indictment of two of its key staff for their involvement in the rigging of the August 9 governorship election. We are watching to see if the national headquarters of INEC will also consent to this plot to cover up the involvement of it staff using a nebulous administrative lapses. We would not have bothered to join issue with the state office of INEC but the need to set records straight supersedes all other considerations. We therefore challenged INEC office in Osun state to provide answers to the following questions: What offence was committed to warrant suspension of the two electoral officers? In an electoral setting, what offence constitutes administrative lapses? 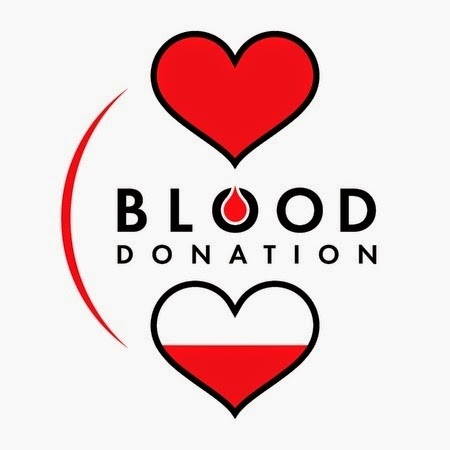 To all Great Ife, we are having one of our students currently at the Emergency Unit in OAUTH who is in need of blood, blood Group B precisely. 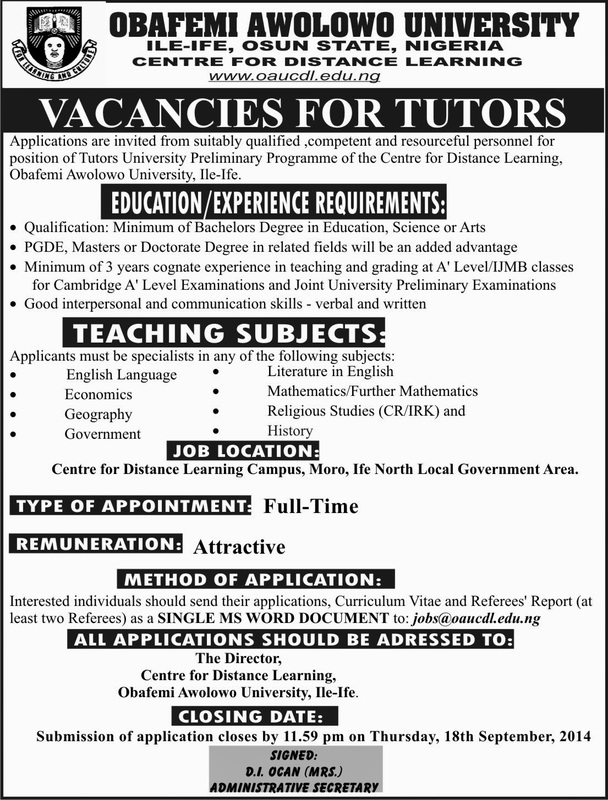 Welfare Officer , OAU SU. 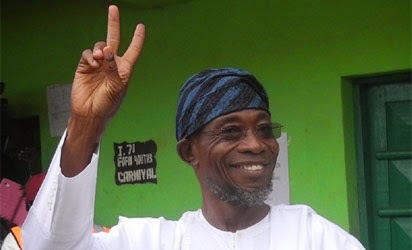 The Independent Corrupt Practices Commission (ICPC) has described Governor Rauf Aregbesola as the best performing governor in the country. The commission noted that his people oriented policies and transparency in governance have given him much edge far above others. The commission’s team led by the Southwest representatives, Professor Olu Aina, gave the remarks during a visit to Governor Rauf Aregbesola in his office. The commission said it expected the governor to be more proactive in alleviating the poverty of the people and be more efficient in the management of public resources during his second term. 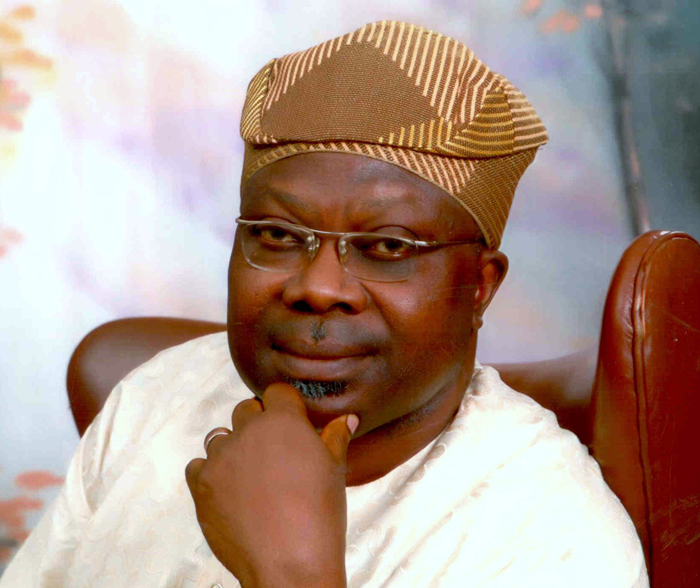 While praising the Governor for the value which his administration has added to education, Professor Aina said the commission has decided to consider education and re-orientation as the most important tool to use in the war against corruption because the Governor has decided to banish poverty through education. The Referendum earlier announced by the Students' Union went on smoothly yesterday across the designated Polling Centres on campus. The Referendum was part of the resolutions of the Students' Union Parliament in its last Sitting. It is expected to play a pivotal role in the determination of the next line of action on the fee hike. Some Polling Centres monitored by our Correspondents including that of Faculty of Administration, College of Health Sciences, Faculty of Sciences among others witnessed a low turnout during our period there. Many of the students do not really find it important to participate. 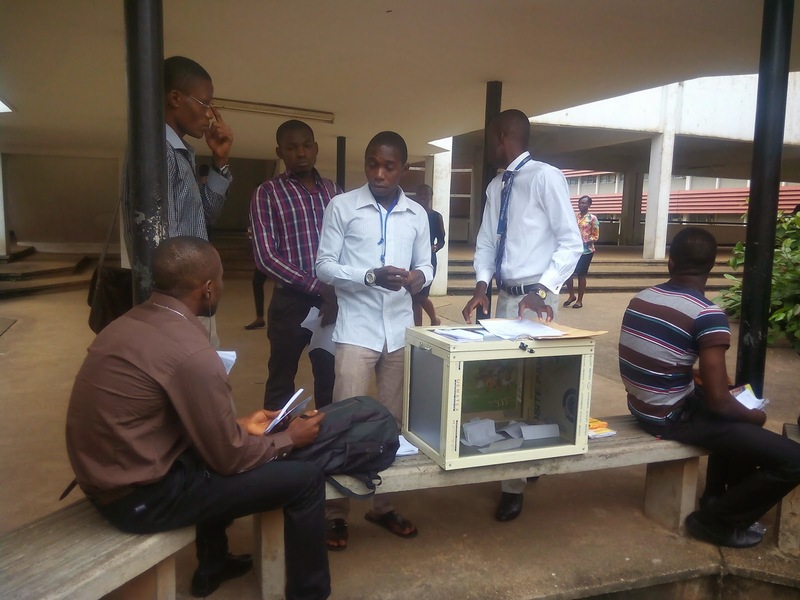 The Ad-Hoc staffs at the Faculty of Sciences had to go into classes been held in BOOC which was filled to capacity to distribute the Referendum paper so that students there could participate. Since the lecture that was supposed to take them was not around, some of the students moved out to fill and submit their Referendum paper. 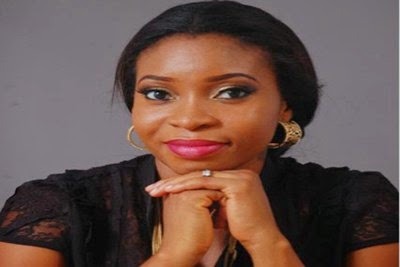 Omosewa is a multi-talented, dynamic, intelligent CEO of Swan Beauty. Am a graduate of Management and Accounting, Obafemi Awolowo University (OAU) Ile Ife. Can you give light on what Swan beauty is all about? Swan Beauty is an indigenous professional makeup company which has her root as far back as 2007 on OAU campus and was then called Swansea Makeovers. Swan Beauty has a unique style of simplicity with sophistication and known for superior customer service. The space rock is estimated to be 60 feet (18 meters) long. It’s expected to fly over New Zealand about 2:18 p.m. EDT (18:18 GMT). 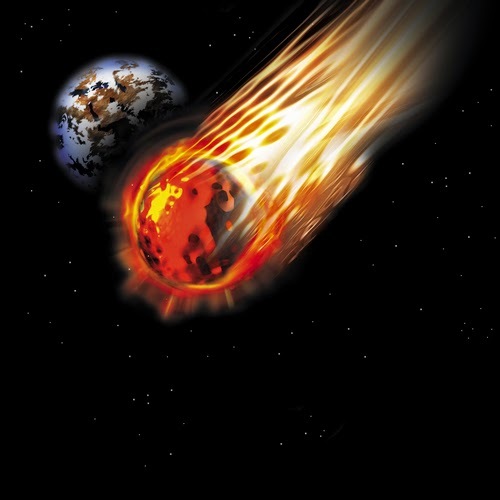 NASA’s Near Earth Object Program estimates there arethousands of asteroids that could threaten Earth, but experts say none of the ones being tracked are expected to hit the planet anytime soon. The admission cut-off marks for the 2014/2015 academic year of some faculties of the Obafemi Awolowo University have been made public. In some faculties, it is pasted in the Dean's Secretary office. Below are the cut-off marks.